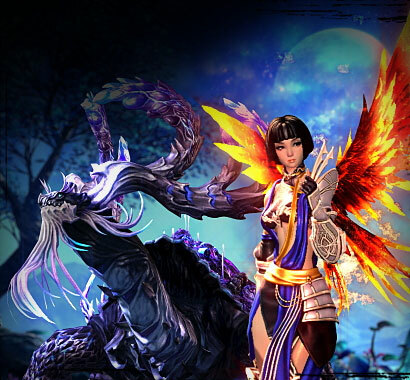 Discover the new Talent system in the Blade & Soul: Legacy of the Hongmoon Clan update arriving March 13! Today we are going to cover the new upcoming Class Specialization revamp with new Talent system due to be released with the Blade & Soul: Legacy of the Hongmoon Clan update on March 13. 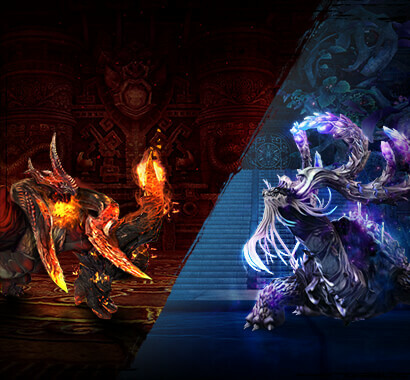 Each of the 11 Blade & Soul classes will receive a major skill overhaul thanks to this new system. This article focuses on three classes: Blade Master, Destroyer, and Summoner. Don’t fret if your class isn’t listed today; we will cover all other classes in future articles. To awaken your class and gain access to the new Talent system, you must be level 55 — HM 7 and complete the Awakening quest, “Legacy of the Hongmoon Clan.” Once awakened, you can choose between two Specializations and five Talents within that Specialization out of the 15 Talents available. You can switch between Specializations and change your Talents at any time you aren’t engaged in combat. The Blade Master is a versatile class and their two new Specializations are Way of the Spirit Sword and Way of the Singing Blade. 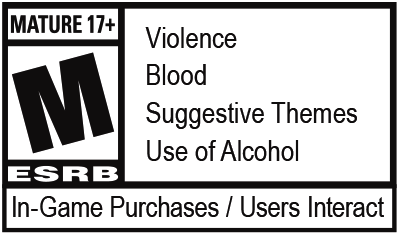 The class maintains a continuous damage style with a balance between offensive and defensive skills. Way of the Spirit Sword – A powerful all-around fighter thanks to its Strengthened Blade buff that allows it to deal increased damage and its Blade Fluidity Talent that gives it access to new combos. A Strengthened Blade buff will be applied whenever using Lunar Slash (TAB). That buff increases Attack Power on Bosses and ignores a target’s Defense. Provides a buff when a certain combination of skills revolving around Dragontongue are used. Introduces a new skill named Burning Whirl (TAB) which can be used right after Lunar Slash (TAB). Burning Whirl pierces Defense and Parry skills. Way of the Singing Blade – An elusive master of the sword, Slippery and a boost to mobility provide increased invincibility time and auto-targeting resistance making this Specialization a prime choice for PvP. Enables you to use Fatal Blade (F) whenever you use Flash Step (V) through a target. Fatal Blade pierces Defense and Parry skills. A powerful defensive skill which increases your invincibility time to 1 second whenever you use Evade (S), Blindside (E), Strafe (Q), or Flash Step (V). Changes your LMB skills whenever you are in Draw Stance, granting access to the Bleeding Edge and One Strike, Ten Cuts skills. The Destroyer's place remains on the frontlines with its imposing strength displayed in both sheer size and skill. Their new Specializations are Way of the Stone Breaker and Way of the Reaper. Way of the Stone Breaker – A resilient melee master who fights in the frontline and uses defensive skills to withstand attacks that would destroy lesser warriors. Stone Shield (V) decreases damages received by 10 % for 5 seconds (stacking up to 5 times). You can now also use the Forge Guard effect on your party members, providing them with Iron Plating (V) for 5 seconds when attacked. Stone Shield (V) now allows you and your party members within range to resist status effects. Using Stone Shield/Iron Plating (V) now also recovers 2% of your HP when party members within range are hit. You are Immobilized during Stone Shield/Iron Plating. This Talent gives your Stone Shield/Iron Plating (V) a Stun attack that pierces Parry and Defense skills which makes it a potentially devastating skill. Way of the Reaper – A devastating force that weakens opponents with Scars and other debilitating debuffs and then cuts them down one by one. This passive Talent increases the duration of Fury (E) or Persistence (E) to 8 seconds (up from 6) and almost doubles your Hongmoon Focus Recovery to 300 (up from 180). This new passive Talent can be extremely useful in both PvE and PvP. Annihilation (X) is a new skill that replaces Execute (X). The more you use Annihilation, the more powerful it becomes with damage doubling at every stage. Annihilation also offers a 20% HP Drain on targets with 5 Scar stacks. Turns your Blitz skill (1) from a Stun Ability to something more defensive, allowing you to Resist Damage and Status Effects during use. Using Blitz will still approach an enemy and now absorbs 50 % of damage as HP for each target hit. When using Stone Shield or Iron Plating (V), the new Wrecking Ball skill will be available for use. Wrecking Ball allows you to approach enemies and Stun them. Using it on any target affected by a Crowd Control effect will launch that target into the air. This is a great Talent for PvP since Wrecking Ball also pierces Parry skills. The Summoner is a ranged damage dealer that can call on a Familiar. With its role in the backline, this class offers party support, and can dish out heavy damage. Their new specializations are Way of the Swarm and Way of the Thorns. Way of the Swarm – A ranged attacker who continuously buffs and supports allies from behind. Enables you to use Anklebiter (V) twice to Knockdown your target for 4 seconds (instead of 3). This Talent replaces Anklebiter with the Surprise Gift (V) skill, allowing you to plant a bomb and remotely trigger it. The bomb will apply a double Knockdown effect on the target. Will give you access to the all-new Sweet Wish (TAB) skill. No more waiting when resurrecting your Familiar! Your cat will be back alive in only 1 second (instead of 5 previously). This ability requires 5 stacks of Honey. Honey is a new mechanic introduced for Swarm Summoners. Multiple abilities generate Honey and Honey will be able to be spent in various ways that increase Damage or HP. In this case, Honey is used to resurrect your Familiar faster. Way of the Thorns – A ranged attacker who can neutralize many enemies and protect their friends. Enhances Petal Storm (3) to protect you from projectile damage and will boost the damage of your Sunflower attack during Petal Storm. Changes Petal Storm (3) to Petal Storm Toss (3), making you deal damage instead of resisting projectiles. After generating three Burrs (through the skill “Flying Nettles” (F)), the third cast will create a giant rolling Burr that will land on your enemies for big AoE damage that pierces Defense and Parry skills. 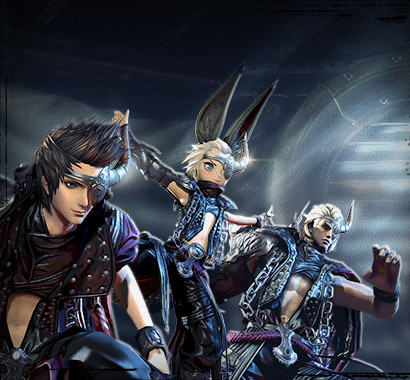 The next Class Specialization Showcase will feature Kung Fu Master, Assassin, Blade Dancer, and Warlock so make sure to return to the official Blade & Soul website when that goes live! And if you don’t want to keep spamming F5 eagerly waiting for the next article, make sure to follow us on Facebook and Twitter to see when the next Class Specialization Showcase is posted! Then transcend all limits and awaken your true power in the Blade & Soul: Legacy of the Hongmoon Clan update arriving on March 13.